Tewksbury – Tewksbury Police Department today announced it will join 148 other law enforcement agencies statewide in support of an intensive crackdown on impaired driving from December 9th 2015 thru January 2nd, 2016 as part of the national Drive Sober or Get Pulled Over mobilization, funded by a federal grant administered through the Executive Office of Public Safety and Security’s Highway Safety Division (EOPSS-HSD). Impaired driving is one of America’s most often committed and deadliest crimes. The National Highway Traffic Safety Administration (NHTSA) reports that in 2012 in Massachusetts, 123 people were killed in crashes that involved drivers with a blood alcohol content level of .08 or higher. Nationwide alcohol-impaired driving fatalities accounted for 31 percent of total fatalities – (9,967) 2014. NHTSA also reports that on average, there is one alcohol impaired driving fatality every 51 minutes across America. 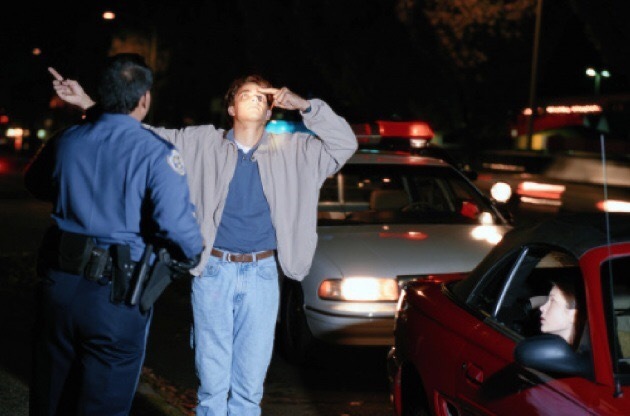 The number of drivers operating under the influence increases during holiday weekends. All too often, innocent, law-abiding people suffer tragic consequences and the loss of loved ones due to this careless disregard for human life. Because we’re committed to roadway safety, we are intensifying enforcement during the crackdown. Since twice as many alcohol-impaired crashes occur over the weekend and four times as many occur at night, we will be especially vigilant during these high-risk times when impaired drivers are most likely to be on our roads. Tewksbury Police Department’s officers will be aggressively looking for all impaired drivers during the crackdown and will arrest anyone they find driving while impaired — regardless of age, vehicle type, or time of day. Our message is simple and unwavering: if we find you driving impaired, we will arrest you. No exceptions. Even if you beat the odds and manage to walk away from an impaired-driving crash alive, the trauma and financial costs of a crash or an arrest for driving while impaired can still destroy your life. According to the Registry of Motor Vehicles, violators often face jail time, loss of their driver licenses, and are sentenced to use ignition interlocks. Their insurance rates go up. Other financial hits include attorney fees, court costs, lost time at work, and the potential loss of job or job prospects. All told, a first offense can easily cost thousands of dollars. Driving impaired is simply not worth all the consequences. Remember, Drive Sober or Get Pulled Over.